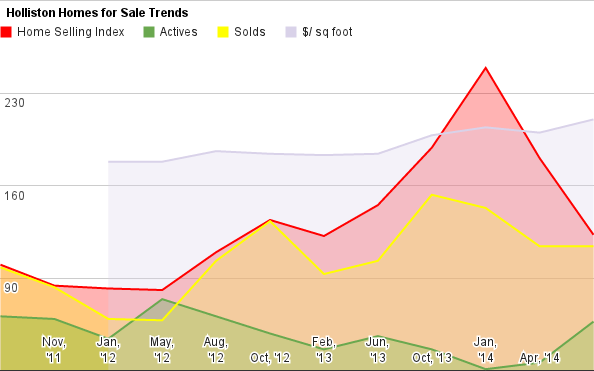 Quick look at Holliston shows the market is getting better in Holliston for sellers. This is not because of increased demand, but likely due to rising prices further East. 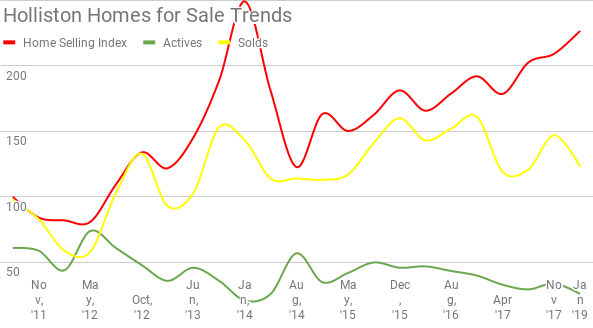 Well, we didn't see any pull back in prices this fall, and the home sellers are out sharply higher setting new targets. I think they are a bit optimistic, but they often are this time of year! Holliston report on single family homes looks pretty straightforward. 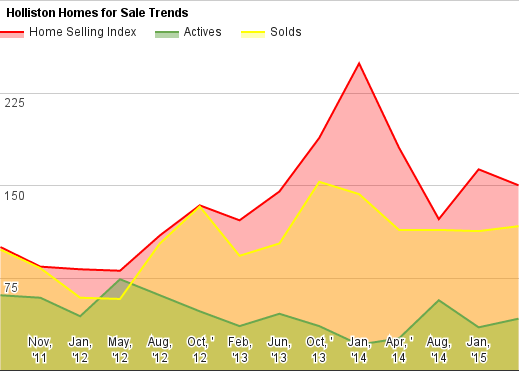 No price jumps - up or down - , home transactions increasing, and inventories remain tight. 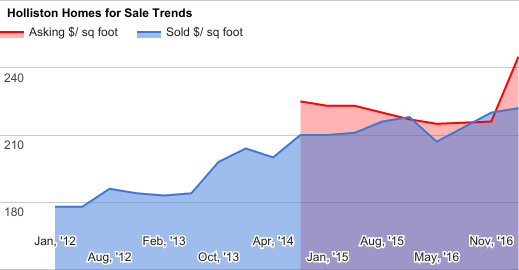 We'll need more homes for sale for things to level out.